First look: Should you upgrade from the Desire to the HTC Desire S? Yesterday the HTC Desire S landed at T3 towers, the successor to the HTC Desire, T3's phone of the year at the 2010 T3 Gadget Awards. We'll bring you a full review of the Desire S as soon as possible, but for anyone considering upgrading, here's a quick look at the differences between the two phones. The HTC Desire S is slightly smaller at 119mm to the Desire's 115mm, but not to the extent that you really notice it. The biggest change is the colour, instead of the bronze, it's now charcoal black. Also the HTC Desire was fashioned from a single piece of metal; the Desire S has a rubberised battery compartment (which is really easy to open) and lens cover. Both phones feel like quality products, perhaps not as solid or thick as the iPhone 4's metal and glass construction, but certainly top-tier handsets. One significant change to the HTC Desire S is the headphone socket. The 3.5mm jack is vastly superior, the metal interior providing a snugger fit. 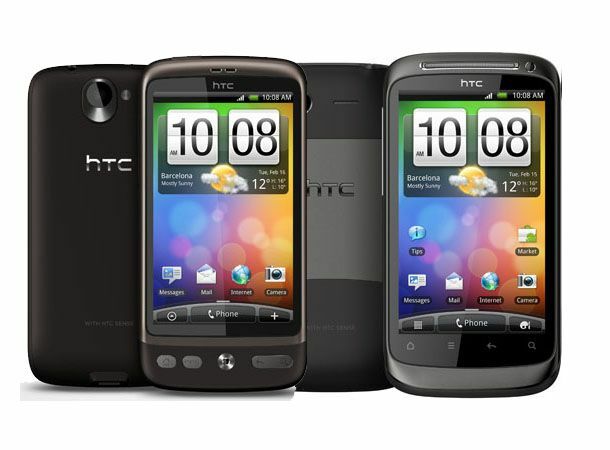 Instead of the solid buttons on the Desire, the HTC Desire S has touch-sensitive home, menu, back and search buttons. These look far cleaner and respond well, although some may prefer the solid controls and unlike the Incredible S they don't flip when you change the phones orientation. The original Desire launched on Android 2.1, with an over-the-air update to Froyo (2.2). Both handsets used HTC Sense, but there are differences. When you swipe down to reveal the notifications bar on the Desire you don't get the running application icons at the top like the Desire. Also, on the home screen the Desire S has a customise icon. Desire fans needn't worry, there's rumoured to be an update to 2.3 coming soon. HTC has retained the 3.7-inch touch screen and respectable 480 x 800 resolution. Although the HTC Desire S doesn't utilise the Super LCD Screen seen on the Incredible S, the screen is clearly superior to the Desire. Side by side on maximum brightness the Desire seems to have crisper whites, but the Desire S is far brighter. The Desire S has far superior off-angle viewing. Colours are slightly different too. Playing back the same You Tube clip, colour are more natural on the Desire S, skin tones in particular are far warmer on the original Desire. In use the HTC Desire S is a lot quicker. We cleared the cache of both handsets and launched T3.com from Google. It loaded in its entirety on the Desire S before we had even left the Google search page on the Desire. Just swapping between applications is quicker: whether you're moving between browser applications or launching apps. Finally You Tube videos launch much more quickly on the Desire S.
One of the most useful changes to the HTC Desire S is copying and pasting. In the past you had to press the screen and drag out green pointers, now when you press the screen it enlarges the copy, making it far easier to accurately select text. We've only had a short time with the HTC Desire S, but it's clear that it offers a couple of significant advantages, namely it's speed and the screen. Side by side the Desire S is significantly quicker and the screen is slighlty better. However for anyone who has recently bought a Desire - unless you have to have the most cutting edge phone, we don't think it's a big enough reason to update, especially when the Desire's Android 2.3 update is coming soon. However, we'll bring you a full review of the HTC Desire S - including battery performance - over the next few days.